“Da Ye Chun”, Menghai tea factory in 2014 out of a new ripe tea products. “Da Ye Chun”, Menghai tea factory in 2014 out of a new ripe tea products. Its raw materials to the stout body for the surface of tea, medium-sized body for the tea, the use of moderate fermentation, shape strong, pure aroma, taste sweet, is a value-added value of ripe tea products. 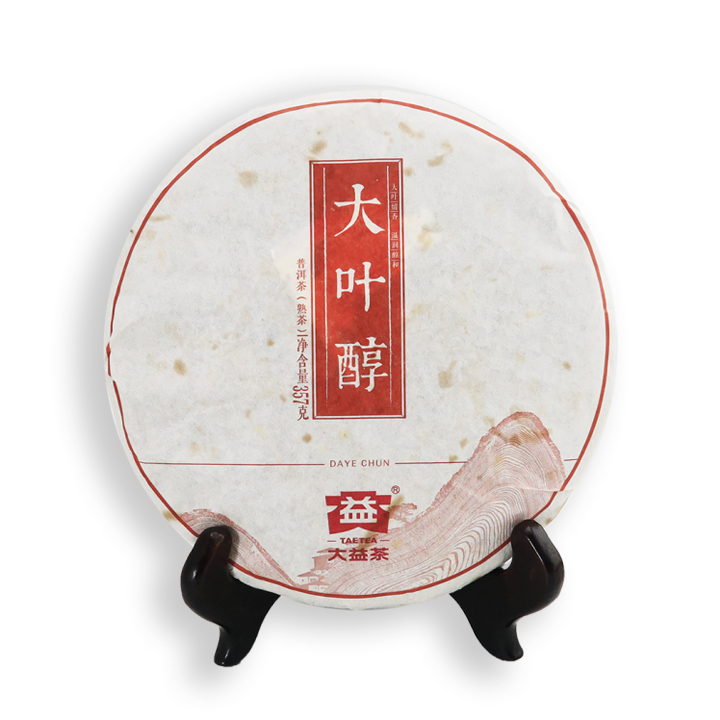 “Da Ye Chun” used “sweet high, taste pure” as the main ingredient of raw materials, can make the initial contact Pu’er ripe tea friends quickly familiar with its quality characteristics, is a popular ripe tea taste masterpiece. Which products in the shape of the past also changed the practice of fine tea pressure surface, fully demonstrated leaf and the integrity of the cable, echo the “big leaves” product concept, moderate to enhance the appearance of ripe tea beauty.